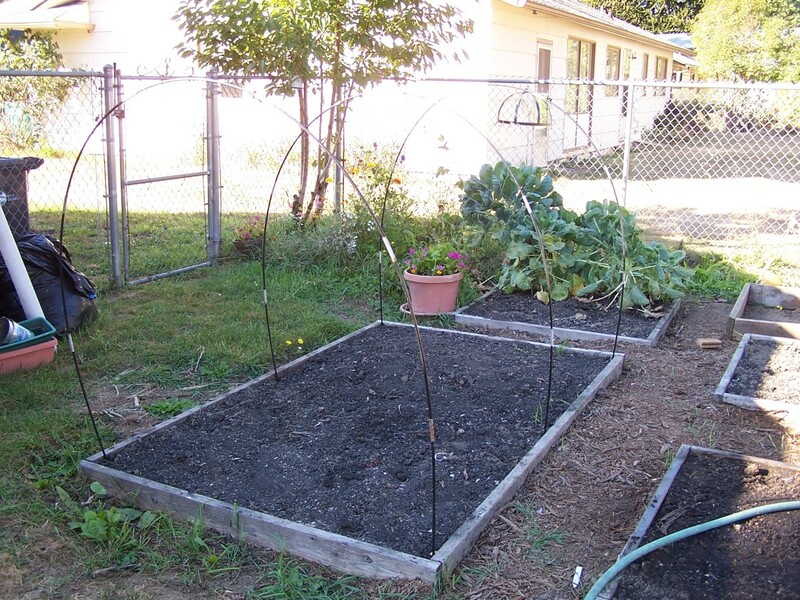 Many people like to tend a small vegetable garden, and prepare their own starts from seed, but may not have the space or the time to maintain a large greenhouse. They may live in a condo or have a very small yard with only a patio available for their gardening activities. 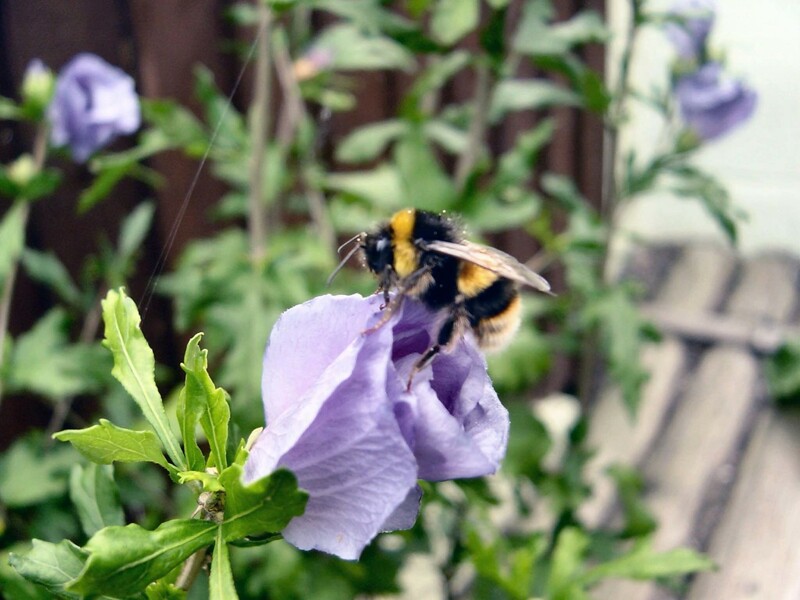 There are many options available for people who prefer to do their gardening on a much smaller scale. 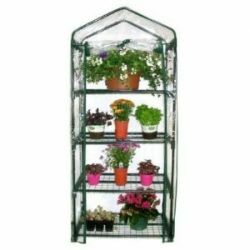 They come as compact as a small rack of shelves enclosed with opaque plastic, to small walk in style stand-alone greenhouses. You can be assured that, whatever your needs and your space allow, there is a greenhouse that will fit. If you only have a small space against your house or fence, the Gareman R687 4-Tier Mini Greenhouse might be the best choice. It consists of a shelving unit wrapped with a plastic cover and a full length roll up zippered front. 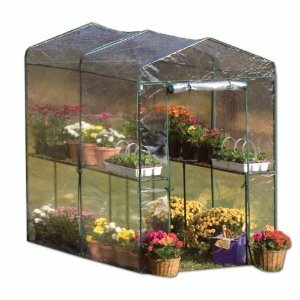 There is just enough room in this mini greenhouse to start your vegetables for your patio or small raised bed gardens in your yard. 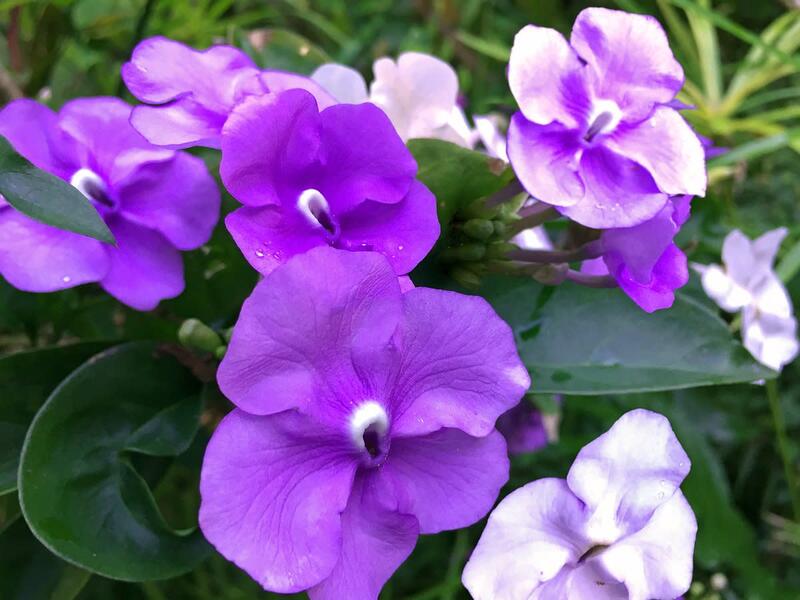 This is perfect for the gardening hobbyist or homemaker who has a limited amount of time available and can't spend full days throughout the week in their gardening activities. Face it! 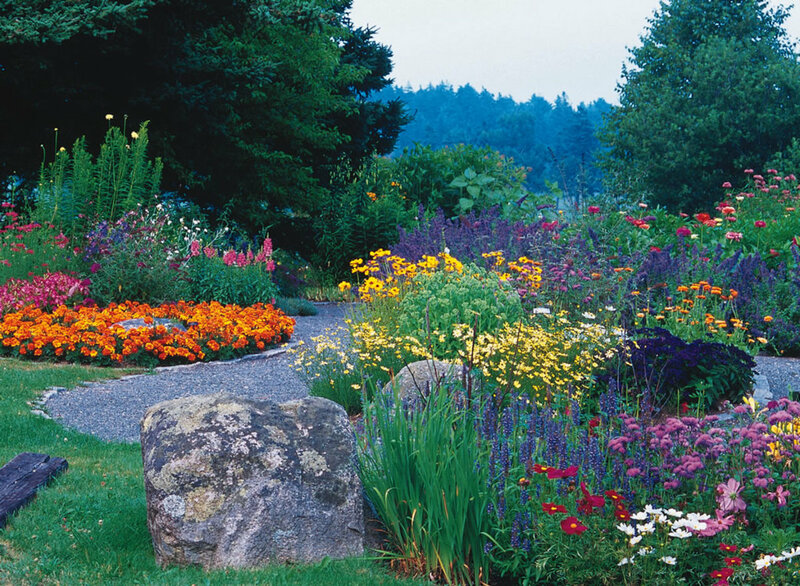 Gardening can take a lot of your precious time. 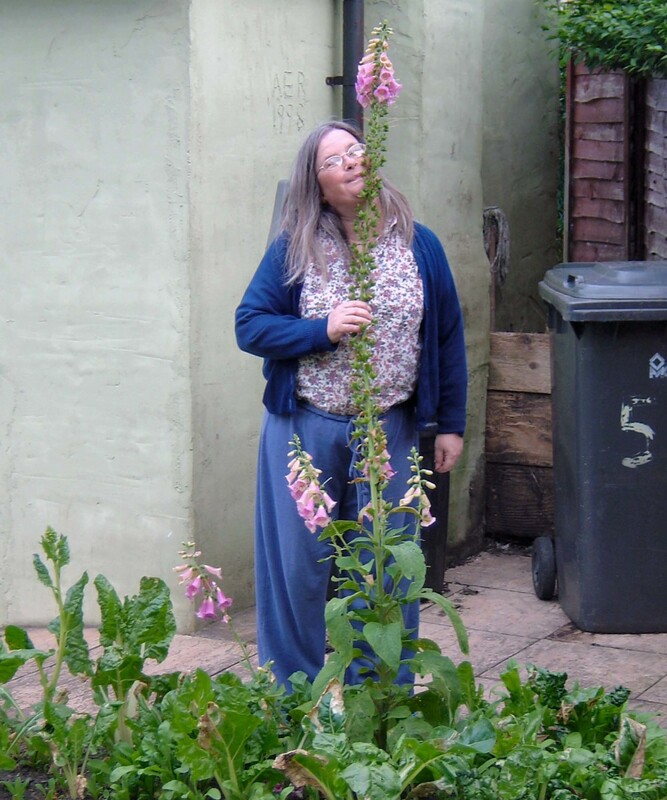 Scale your gardening to the time and the space you have available. 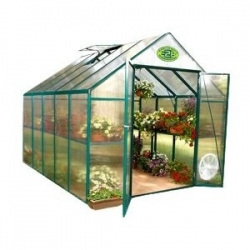 Extend the growing season with this greenhouse. It is made with heavy gauge extruded aluminum construction means optimal durability. It comes complete with shelving to the left and right as you walk in, there's plenty of room for vertical gardening, which means more floor space for larger plants. This greenhouse is vented on the sides and roof to keep air flowing for optimal vegetable, flower, or herb yields throughout this spacious 8 by 10-foot vegetable paradise. 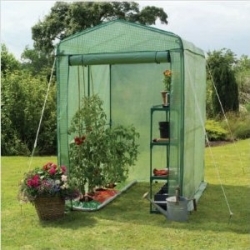 Easily assemble this greenhouse with its patented, push-and-click connectors which offer super easy assembly in 2 to 4 hours, so you'll be setup by lunch and potting plants under the greenhouse's 7-foot-6-inch glass roof that afternoon. Double barn style doors ensure easy access for hauling plants in and out via wheelbarrow if necessary. The hinged doors require only a Philips head screwdriver and pliers for assembly. The walls are constructed with 4 mm twin polycarbonate panels to ensure optimal durability. A powder-coated frame stands up to decades of rain, sun, and snow. Keep good airflow for growing your own vegetables and plants with an auto roof vent opener. 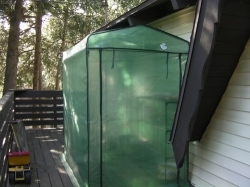 The greenhouse requires no base or foundation for quick and easy setup on any level surface. The unit is covered by a manufacturer lifetime warranty on the frame and a 12-year on warranty on the polycarbonate walls and roof. Do you want a greenhouse in your backyard, but you don't think you have enough room? Or maybe you do have the room, but you just don't want a bulky greenhouse resting on your lawn during the offseason? The Gardman Walk-In Greenhouse allows you to put up a walk-in greenhouse in your yard in just a few minutes. When your plants have sprouted and been transplanted to the garden, or when growing season is over, the Walk-In Greenhouse comes down just as easily as it went up. Extend your growing season with a Gardman Complete Walk-In Greenhouse Kit. 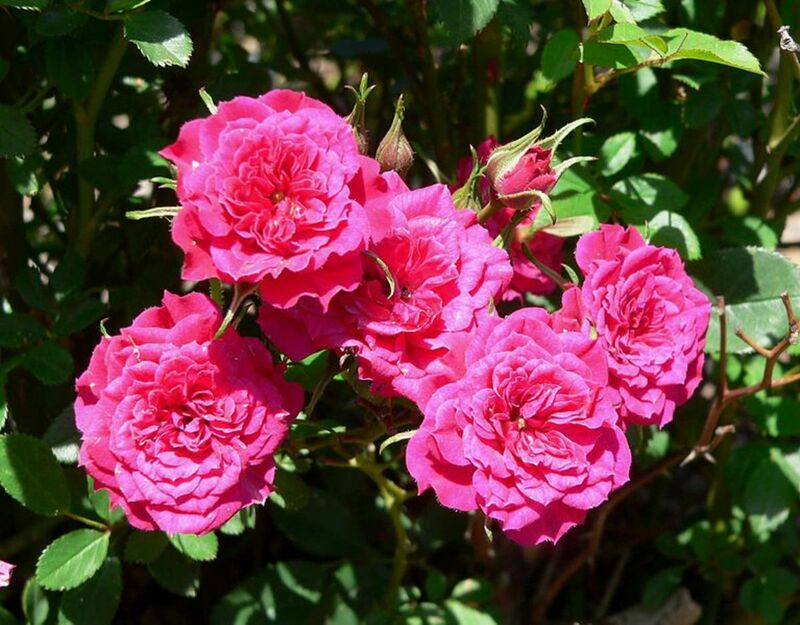 A greenhouse offers the plant enthusiast the advantage of earlier blooms and crops. Its controlled environment will allow your plants to thrive in a more even temperature and is perfect for cheating the weather. This kit includes everything needed to construct a walk-in greenhouse. The innovative polycarbonate glazing is safer than glass, offering no danger to children or pets. The glazing's twin-wall design is excellent for insulating and diffuses light to prevent scorching of young and delicate plants. The galvanized steel frame and aluminum frame are coated after drilling to leave no untreated edges behind. The steel base bolts together securely to form a stable, level foundation, while its thick metal creates five extra inches of head room. The Gardman Complete Walk-In Greenhouse will form the perfect safe haven for your plants. Install this greenhouse on a level surface to ensure proper assembly. Taylor's greenliving walk-In greenhouse is the right size for the more serious hobby gardener. When assembled, it measures 47.2 inches wide by 74 inches long by 74 inches high. 5 shelves wrap around the sides providing ample space to start all your plants in the Spring, plus a home for the more mature plants that need a little assistance or special attention. The "stay put spikes" provided, keep your greenhouse stable and secure. Taylor also gives you a Bonus thermometer and hygrometer to help you keep your greenhouse at the right temperature and humidity as well as a watering station. The watering station includes a multi spray pattern nozzle, 11-1/2-foot coil hose with copper connectors and an organizer to hold it all right INSIDE your greenhouse. It is all you need for a self contained greenhouse. What would you consider to be the "prized" vegetable growing in your greenhouse or garden? Ohohdon is a participant in the Amazon Services LLC Associates Program, an affiliate advertising program designed to provide a means for sites to earn advertising fees by advertising and linking to Amazon.com. This lens was perfect for me. I was looking for something on a much smaller scale and this might just fit the bill for me. I would so love to have a greenhouse of any size. I don't have one, but I want one. After I retired, this is one of the things that I want...only, I want to move out of Arizona first, otherwise, the greenhouse will roast them out here! Very nicely done! I've thought about getting a small greenhouse. One important criteria for me would be the automatic venting option, which one of the greenhouses you list does have. The shelf style greenhouse would be perfect for me! Nice lens! the shelf greenhouse looks perfect for my balcony - will look now if such thing is available on amazon.de too. glad you wrote about it! @gottaloveit2: Thanks for the comment. There is a story behind the username. I'm sure it's very different from what comes to mind when someone thinks about what it might mean. I'll have to put together a lens that tells the story someday. What a great idea! We have a sort of short growing season in Maryland so this would be a great way to get a jump on the season early. Wonderful lens. Oh too, love your user name; cracked me up.